The first bands for 2015’s Metal Magic Festival in Fredericia, Denmark have just announced its first bands for the 8th installment of the bash, and so far it’s going to be dark, heavy, thrashing and quite classic. 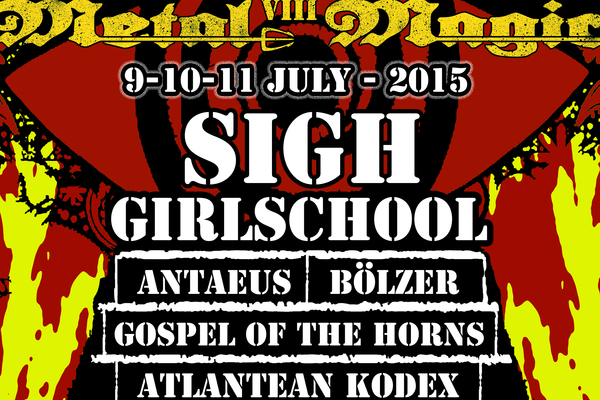 The band’s announced so far are: SIGH, GIRLSCHOOL, BÖLZER, ANTAeUS, GOSPEL OF THE HORNS, ATLANTEAN CODEX, INIQUITY and a hell of a lot more! Follow the madness on Facebook and on the website!